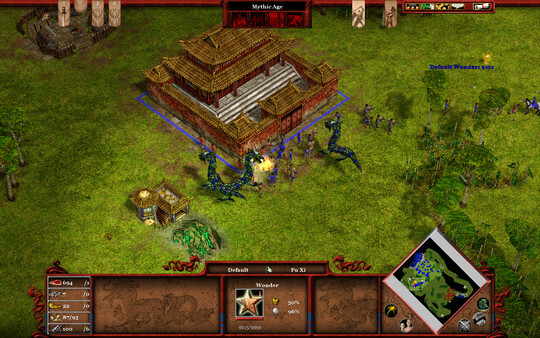 *Master Tacticians: Between their War Academy tech, morale-boosting generals, and units with unexpected counters, the Chinese have no problem dominating the battlefield! 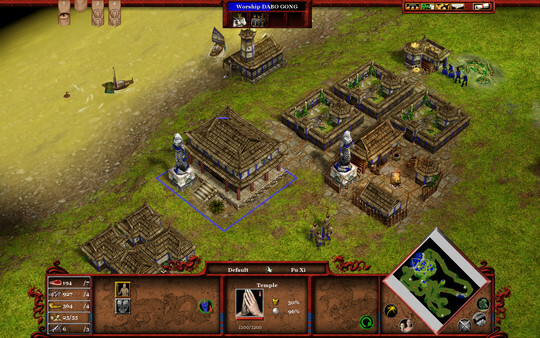 *Wololo arrives in Age of Mythology! 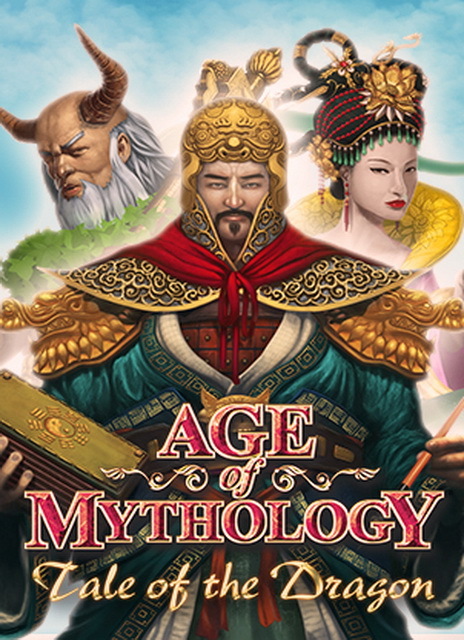 The beloved monk from Age of Empires II finally gets its Age of Mythology counterpart in the monk hero unit, which can convert enemy units and heal friendly ones. *New Campaign (fully voice-acted in English): With Yin and Yang shattered and China in chaos, General Jiao-Long must find a way to restore Yin and Yang and bring peace to the empire. *Fu Xi, The Heavenly Sovereign: The inventor of the first writing system, Fu Xi speeds construction efforts in return for favor. *Nü Wa, The Earthly Sovereign: Co-creator of humanity and sister of Fu Xi, Nü Wa brings unparalleled prosperity by boosting villagers and the economy. *Shennong, The Human Sovereign: The Emperor of the Five Grains is credited with many agricultural inventions, and rains death with mighty siege weapons if his monks fail to convert the foe. 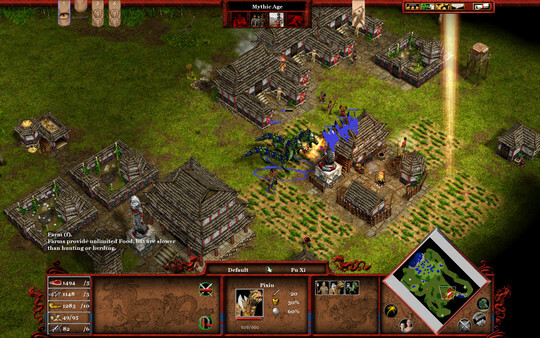 *Unleash a devastating Tsunami or Inferno on your enemy’s cities. 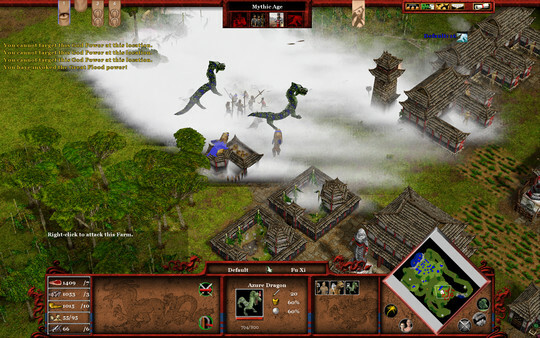 *Destroy enemy units with a sudden Geyser or Barrage of arrows. *Summon Dilong the Earth Dragon to break through the earth’s crust. *Jiangshi – Undead unit that drains life from enemy soldiers. *War Salamander – A new amphibious unit that can take the fight to enemies wherever they are. *Terracotta Warrior – Soldiers that expel lethal dust upon death, destroying nearby enemies. *Azure Dragon – Any match can be improved with the addition of a fire-breathing dragon. *Giant Map: New map size for all maps new and old!